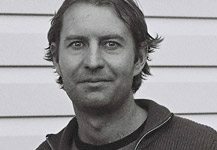 Damian is a Director of Australian Wetlands Consulting and has worked in the fields of Environmental consulting, design and ecological restoration for over 15 years. 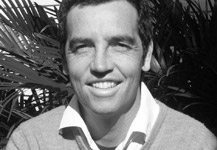 Damian’s areas of expertise include catchment and integrated water cycle management, WSUD, the use of wetlands for wastewater treatment and ecological and waterway restoration. Damian has provided environmental consultancy, design and project management services to state and local government and private companies throughout Australia and contributed to a number of guidelines and best practice documents. Mark is a current Director of AWC, where he plays a key role in managing staff and leading/supervisong the technical delivery of projects. Mark spent the initial stage of his career researching the various benefits of natural systems for polluted water treatment, teasing out the relationships between hydraulics and pollutant reduction. Mark has strong skills in water quality and hydrology assessments of natural, urban, industrial and commercial environments. Over the past 5 years Mark has lead the rehabilitation of numerous natural wetland systems and designed many treatment systems for legislative compliance. Through his PhD studies, Mark has a thorough working knowledge on the use of statistics in environmental reporting – a skill AWC uses to assess the impact of developments and assess the effectiveness of water quality sampling regimes.